The funding, from the Federal Government’s Drought Community Program, will be spent on infrastructure projects to be undertaken across Buloke Shire by the end of this year. “2018 was a really tough year across the whole of Buloke from Coonooer Bridge in the south, right up to Nandaly in our north and we have heard from so many farmers who are doing it hard. Our recent history is a difficult climate cycle. We have had a ride over the past decade of drought, flood, drought, flood and now drought again”. “We also know that when the farming sector has a bad year, the impact is also on the town and businesses who in turn suffer. Every bit of support really helps. Council will now, over the next two months, consider which projects will be delivered”, said Mayor Cr Carolyn Stewart. Minister McKenzie also announced that Buloke would benefit from Round 4 of the Federal Government’s Mobile Black Spot Program. The construction of new base stations in Berriwillock, Glenloth East and Wilkur will address key black spots in Buloke. “Reliable and effective mobile communications are a key driver of the enormous contribution that our regions make to Australia’s economic growth”. “Greater availability of mobile services is a big deal. It means staying safe in remote areas, keeping in contact with family and friends, unlocking access to online health and education services as well as increased tourism and business opportunities”, said Minister McKenzie. Mayor Cr Stewart thanked Senator McKenzie for the further investment in the Buloke community. “Across all of our communities, we are hearing how important digital connectivity is and about the need to eliminate our key blackspot areas. Addressing these are key objectives of our community plans and Council’s Economic Development and Tourism Strategy. We are so pleased about the investment and what this means to our community members who are isolated because of these remaining blackspots”, she said. 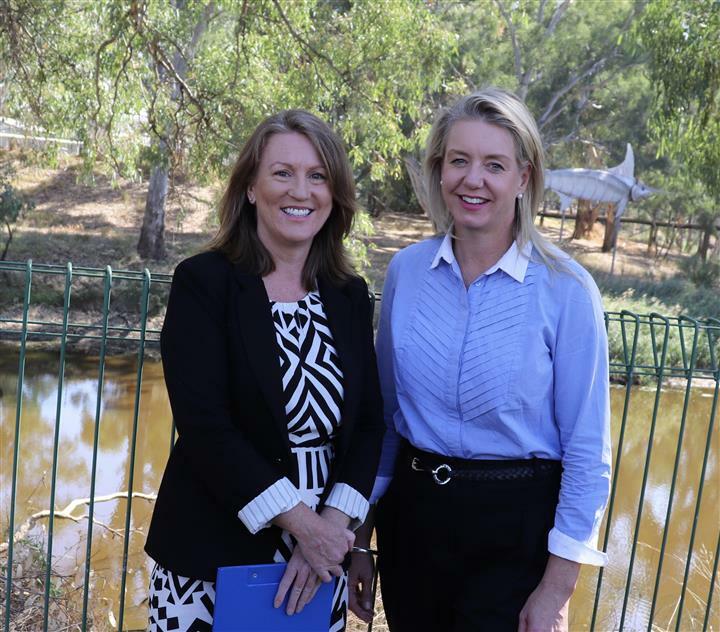 The news comes on the back of a $2.9 million funding announcement from the Federal Government’s Regional Growth Fund for foreshore redevelopments and upgrades earlier this week.